Hoppy Monk has always been skillful at weaving in beloved Mexican flavors into their food and drinks. 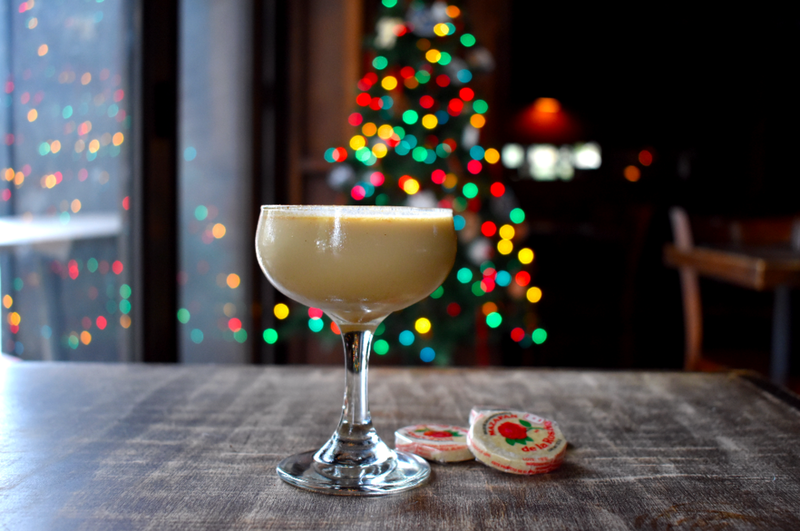 Their Brandy Alexander for iteration, the Mazapan Alexander, is the collaborative brainchild of bartender Brittany Dinhobl and bar manager Ricardo Ruiz. 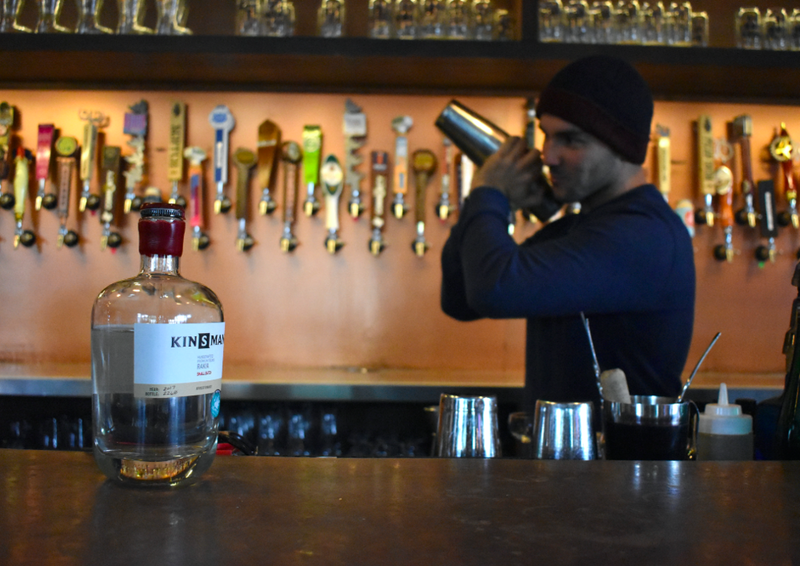 When developing the drink, Dinhobl wanted to bring the flavors of San Antonio to the mix. 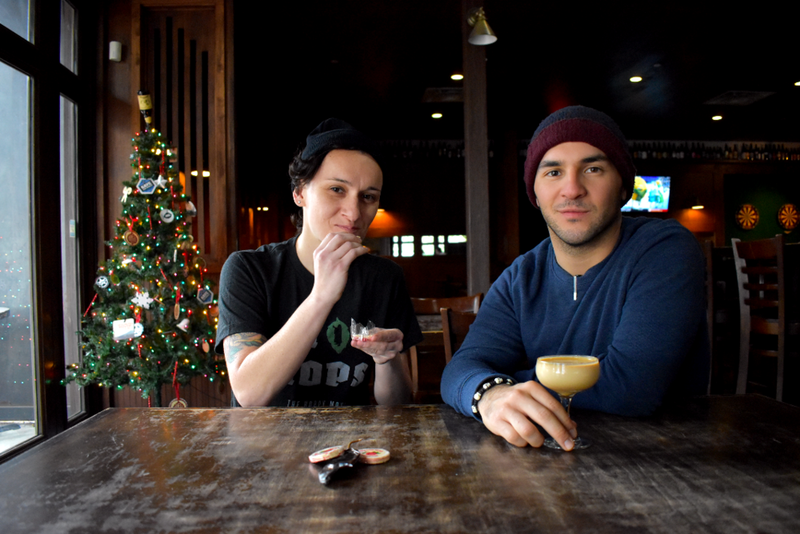 Together with Ruiz, they developed a liqueur using HighWheel’s Black Kölsch (we call her Veronica), vodka, guajillo peppers and Mazapan de la Rosa, a Mexican candy made with various peanuts, almonds and pistachios. Though the cocktail uses half-and-half instead of heavy cream, the viscosity remains, and the result is a blend of flavors both salty, sweet and subtle. 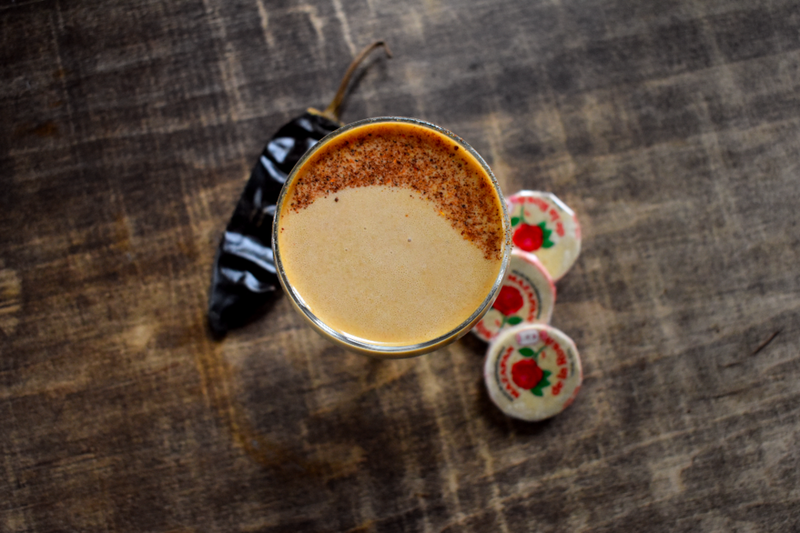 A dash of powdered peppers and toasted nuts finishes this unique cocktail offering. Combine ingredients in a shaking tin. Add ice. Shake vigorously. Strain into coupe. Garnish with powdered toasted nuts.